Due to extenuating circumstances, we will no longer be hosting today’s live webinar, California Labor and Employment Law Update for Human Resources Professionals in the Health Care Field. We apologize for any inconvenience. Fortunately, this webinar will be recorded and made available on-demand on the ASHHRA Learning Portal in March for purchase. Individuals currently registered for this webinar will receive complimentary access to the recorded webinar hosted in the ASHHRA Learning Portal under “My Learning Activities”. If you have questions regarding this or other education opportunities from ASHHRA, please contact ashhra@aha.org or call (312) 422-3720. Description: 2018 brought many new developments from the California courts and state legislature. California has a brand new independent contractor test and new #MeToo related laws that went into effect in January. This webinar will discuss important new legislation, key judicial decisions from 2018, recent state and federal agency actions and new regulations that HR professionals in the health care field need to know for 2019. These developments impact litigation strategy, arbitration agreements, employee handbook policies and more. Presenter Dawn Irizarry will provide an overview of these developments along with recommendations for compliance. If you manage employees in California, you won’t want to miss this webinar! Review important legislation changes, including requirements for sexual harassment prevention training and non-disclosure agreements, FEHA amendments, salary history inquiries and more. 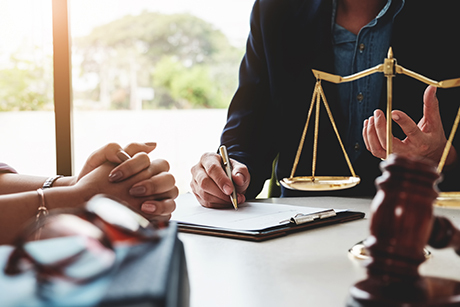 Explore key judicial decisions that apply to your health care organization, including cases related to arbitration agreements and class action waivers, “de minimis” work time and more. Learn how to ensure your health care organization is in compliance. Dawn M. Irizarry is a Partner in the Los Angeles office of Carothers DiSante & Freudenberger LLP, a California-based labor, employment and immigration law firm with offices throughout the state. She has focused her practice on counseling and defending businesses in labor and employment matters for over 16 years. In particular, Dawn has represented many health care institutions, in defending alleged claims of sexual harassment, unlawful discrimination, hostile work environment, retaliation, wrongful discharge, defamation, failure to accommodate and other employment-related disputes before federal and state courts, administrative agencies and alternative dispute resolution forums. Dawn’s current health care clients include Cedars-Sinai Medical Center and DaVita Medical Management, LLC, to name a few. Dawn is also a member of the Hospital Association of Southern California.